Part Brand: Mopar Bundle Description: two pack. Perfect part fo the restoration for my 1972 Plymouth radiator! It is the perfect part for my radiator. Very quick delivery to the Netherlands. Both my thumbs up! 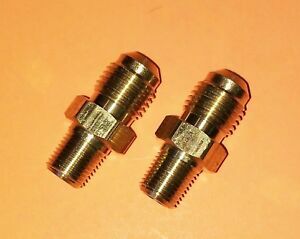 For my 71' Slant Six, these cooler connectors fit perfectly on the radiator and Transmission!